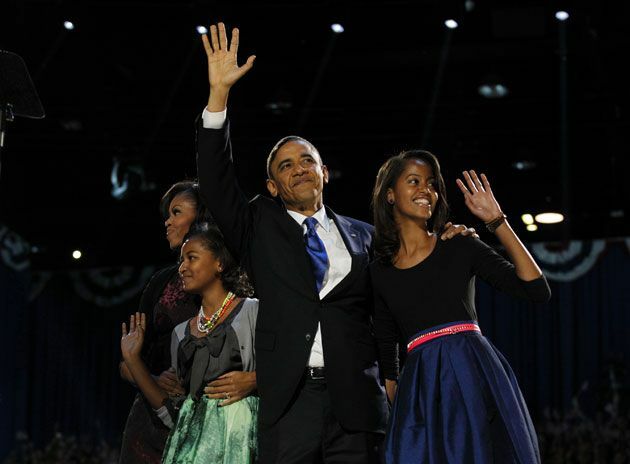 November 6, 2012 — Obama wins his re-election. What a rollercoaster ride this election season has been! Like many people, I am glad that at last the frenetic jostling for the office of the POTUS has come to an end. In the end, as I fully expected, Obama was re-elected as the president of the United States. Yesterday morning I went to vote making fully sure that my iPod was fully charged. I knew that there’d be a great turnout so I braced myself for a long line. True to my expectations, there was a long line, but it wasn’t as long as I feared. Perhaps, it was because, like I thought, I had mercifully beaten the early morning rush by people who wanted to get in there early, vote and head off to work. I got in line around 9:45 am with other happy and excited people around. One very chatty old white woman directly in front of me kept us all talking and laughing as she told us many of her previous election experiences. She was 93 years old but yet she could stand and walk around without aid. She stood with us throughout the 2 hours that it took for us to finish voting. I am still amazed at how strong that elderly white woman was. I remember that there were many times one of the election judges came over to her and kindly inquired if she needed a chair to sit. She smilingly declined, and stood with us all through as she regaled us fantastic stories about her life. I am not going to bore you with her tales anyway. Finally, after what seemed like an eternity, I got to the voter machine and promptly voted for Obama. I rolled out and came home to relax and wait for others to do the same. Now, how many of you were on tenterhooks as you nervously waited to see the outcome of the election? I was not one of such people. I patiently saw the whole process through; as a matter of fact, I was one of the people still awake long after Obama had given his victory speech. I can honestly say that I was happy to see that after extensively studying the trends, polls and examining the predictions from Nate Silver, I was thoroughly convinced that Romney was not going to win—and it turned out to be so. Indeed as I have pointed out before, I accurately called the election 6 weeks early! How about some raw stats then? Obama won about 92-93% of all black votes; about 73% of all Hispanic votes; only about 35% of white votes; he beat Romney in women vote by as much as 11%. Obama garnered about 303 electoral votes to Romney’s 206 with 49 states accounted for. All that’s left is Florida with her 29 electoral votes. Chances are that Obama will get these electoral votes as well swelling his ultimate grand total to 332 electoral votes. He got around 50.4% of the popular vote or roughly 60,452,197 votes at the time of this writeup. This figure will increase slightly after the Florida votes are completely accounted for. It is interesting to note however that Obama got 9 million votes less than what he got in 2008. Could this be because many people were disenchanted with Obama seeing as he has failed in definable ways to favorably impact their lives? Could it be because they became disillusioned with Obama after 4 years saw to it that some of Obama’s numerous campaign promises never materialized? Nevertheless, it is even more surprising to imagine that despite the bitterness of the long campaign, and the incessant chorus from the conservative base to the effect that Romney was going to beat Obama by a landslide (because of the dismal economy), Obama beat Romney in the popular vote and the electoral vote regardless. The ugly truth is that Romney ran a spectacularly cynical and dishonest campaign. Time and time again, Romney flip-flopped on many issues of the day. It became apparent at some point in the campaign that Romney was simply saying any and everything to get himself elected—principles and records be damned. It might be the reason why many conservatives abstained from voting, or voted libertarian or otherwise. Just think how surprising it is to note that despite the deafening voices we heard during the campaign, proclaiming an imminent election-day Republican tsunami, it turns out in the end that somehow John McCain (with his caribou Barbie running mate) managed to get more votes in 2008 against a popular Obama than Romney did with a politically weakened Obama! There is simply no other way to parse this save to say that Romney had high unfavorables—many people frankly did not like him—least of all after they heard the now infamous 47% remark. attendant snail-paced economic growth, he would lose the election if it was a referendum on the economy. In all sincerity, his administration’s record has not been terribly impressive even if one might grant that he is an impressive man personally. So, he had to make a strategic move to endear himself to the shifting segments of the American populace—in other words, having noted the changing demographics of the country, he had to make a calculated move to endear himself to the different portions of a fast-changing electorate. That gamble worked in a big way. He received considerably fewer white votes this time around but scored impressively amongst the 18-30 age group, students, women, blacks, Hispanics, gays, labor and unions, the auto industry, veterans and the elderly etc. The demography of the country was changing and it now appears that no longer can the Republicans hope to win elections just by banking on the collective electoral angst of the white vote. To be competitive in future elections, the conventional wisdom is that the Republicans now have to seriously work hard to draw the youth and minorities into the party in much larger numbers. Otherwise, with these levels of Hispanic and women support for Democrats, the Republicans will invariably continue to experience future election-day woes. Obama has now written his name into the history books. He is the first African-American president of the United States—a feat magnified once a person fully begins to understand this country’s past shameful legacy of slavery, racism and discrimination. Additionally, in winning a second term in office, he joins a smaller cadre of presidents—14 out of 44 presidents—who have served two or more terms. All that remains now is to see how well he would govern in his second term. Also, one wishes to see whether the stinging loss suffered by the Republicans might have engendered some serious soul-searching to usher in a season, no matter how briefly, of bipartisan cooperation and an end to gridlock: is this asking for too much perhaps? Superstorm Sandy devastates the NJ Shore. The protracted 2012 Presidential election campaign season has less than 24 hours to wind up; it is coming to an end. We have seen the fiery exchanges between both campaigns; we have seen that mega-millions were sunk into targeted ad campaigns; we have seen the stump speeches; we have seen memorable moments from the GOP and the DNC conventions; we have seen a very damaging video of Romney in which he basically wrote off 47% of the electorate; we have seen a season of very passionate presidential debates filled with claims and counterclaims; we have seen countless thousands across the states participating in the electoral process by voting early; we have seen an avalanche of surveys and polls striving to correctly determine voter mood and direction; and we have seen the horrifying aftermath of Super-storm Sandy as we draw close to the election day. Well, well, well…what a difference 6 weeks makes huh? It is fair to say that a number of situations have tremendously impacted the trajectory of the race. One of such moments was the very first presidential debate. Before the debates, Obama held a narrow but steady lead over Romney in many of the credible polls held in the last days of September. This was at the height of his thoughtless 47% remark; it even seemed like he was losing seriously amongst women voters. Along comes the first debate with Obama and everything changed. Suddenly, Romney surged in the polls overtaking Obama in several polls and looking surprisingly competitive in the battleground states. The dismal effort that Obama put into that first debate was so devastating that many democrats grew nervous as the lead they once enjoyed disappeared overnight—even amongst female voters. I suppose it was the earnest performance that Romney put up as he sought to present himself as the more credible voice on issues concerning the economy and Obama’s embarrassing non-performance that helped to resurrect Romney’s bid for the top job. Seeing him on that stage clobber a dispirited Obama by relentlessly painting a grim picture of the economy and offering himself as a refreshing candidate of change and progress, one could immediately notice how that helped to energize the conservative faithful. Were the country to have voted based on the first debate alone, I daresay that Romney might have won; that would have been the October surprise most political pundits were perennially looking out for. Fortunately for Team Obama, all was not lost. The vice-presidential debate and the other two presidential debates served to rekindle the fire and optimism that burned in the hearts of the Obama faithful. So, it would appear that after Obama’s belated but forceful performance in the remaining debates, he and Romney were locked in a statistical dead-heat as we approached the last lap of the campaign. This observation has been numerously corroborated by the polls out there that I won’t even bother you with several boring polls which have revealed that the race did tighten especially in the battleground states. What should one now make of the state of the race? Is there a clear front-runner? Has any cataclysmic events happened that might (in some definable fashion) impact the race? Have we seen any reason why my earlier prediction might not stand? First of all, I am not in any doubt that Obama will still win this election. However, if on Tuesday night we discover that Romney had won the election, then I invite you to consider two things. The first is that the constant barrage of polls we got during the campaign essentially showing Romney polling behind Obama was hopelessly and woefully wrong. This will mean that these projections given by seasoned psephologists were based on faulty data. Frankly this will not be surprising at all. Just think about it—do you realize that many people who are called up on the phone and asked to participate in a survey wherein they are asked to pick between Obama and Romney can and do mislead? It is not altogether difficult to imagine that many people (especially whites) might not want to be seen as racist and thus may say they’d vote for Obama only for them to go into that private voting booth and pull the lever for Romney. It will simply mean that the exit polls as well as other polls which showed Obama doing well in the prized battleground states were essentially incorrect; it would mean that Romney had been enjoying far more muted and silent support than most people actually imagined. This is a worrisome possibility. Could it be that unlike the 2008 elections, many people sincerely liked Obama as a person but frankly thought that Romney would generally do a better job on the economy or on other issues? Could it be that having allowed Obama 4 years that an increasingly moody white majority feel like Obama has failed to deliver on his promises? Whatever the case may be, it is useful to realize now that with the polls as tight as they are, any little thing can fling the election one way or the other. Secondly, I want to suggest that the storm which ravaged the Northeast might have ironically worked against Obama contrary to what the pundits are suggesting. Sandy, the storm of the century, battered about 20 states on the east coast costing an estimated $50 billion in damages, killing over 70 people and leaving millions of people without power. The pictures of the devastation are gut-wrenching—flooded streets and subway systems, houses washed away, a nuclear power plant blown up, long lines at gas pumps, hospitals working on reserve generators and general scarcity. The idea is that since the news has been dominated by Sandy coverage, and people have relentlessly seen Obama doing his best to lead in a time of cataclysmic disaster—suspending his campaign at the time, huddling with governors and mayors as they mulled over relief options, expediting FEMA and other relevant agencies’ response to the disaster, visiting the affected areas and working cordially with erstwhile political ‘enemies’ a la Chris Christie—the country will once again be enamored by Obama and be thankful that the country had capable leadership in a time of crisis. The political calculation made by the pundits was simple: things may not be perfect now, but you already know Obama and you can trust that he cares and that he will take sensible and responsible steps to lead in times of crisis. One only need remember the Bush administration’s horrible record with Hurricane Katrina to see the point. By comparison, Romney pales into insignificance especially if you remember that during the republican primaries he thought it was a grand idea to scrap FEMA. Inasmuch as this was a bright calculation, I am persuaded differently. First, it is important to realize that this election is close. As a matter of fact, it is mathematically possible to have a scenario whereby Romney wins the popular vote and loses the election to Obama who won more of the Electoral College votes. Since this possibility is only too real, one can see readily that team Obama would very much want to win both the popular and the Electoral College votes in order to claim a clear, definitive mandate. For this to happen, Obama needs his supporters to come out and come out big. By this logic, it is not just enough to reason that a certain state X has a long democratic voting history and will thus likely vote democratic on Tuesday; Team Obama would want to win even the traditionally democratic states by the widest margins possible. Alas, compared to 2008, there is an enthusiasm gap on the part of democrats. Now cue Sandy. There is no one who knows anything about voting patterns that does not know that the Northeast region overwhelmingly votes democratic in national or presidential elections. In 2008, Obama virtually swept the Northeast and racked up as many Electoral College votes as possible. This time around, even before the storm ravaged the East Coast, we noticed that the youth and many segments of the population who went for Obama in large numbers were not as motivated to vote as they were in 2008. But the biggest problem that I see is the storm itself and its horrifying aftermath! 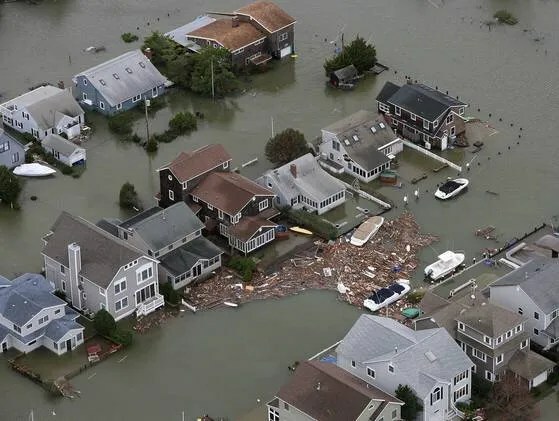 Many places in the Northeast are only now beginning to recover from the devastation; some were without power since Monday of last week and only just got back power yesterday or today. Many are still without power as we speak. Transportation in many parts of NY and NJ is nonexistent either because the roads are un-motorable or because of the long lines at gas pumps and the consequent rationing. Many people are still trying to pick up the pieces of their shattered lives; to find food; to find shelter; to find friends or relatives who were also affected by the storm. Frankly, many people are just not thinking about politics and voting right now. If they did not vote early, it is doubtful that they are literally busting their behinds to go to some polling station to cast a vote—at least not when they haven’t found food to eat, or buses or taxis for transportation, or some warm place to lay their heads, or somewhere to charge their electrical or electronic gadgets, or found gas for their cars. Turnout cannot be over-emphasized. Since majority of these would-be voters are democrats, one can see how Mitt Romney can suddenly prove to be very competitive in the Northeastern states. Indeed if care is not taken, he could peel off a state or two from the states affected by Sandy away from the Obama column. That could potentially spell the difference. If this natural disaster had happened in the Southern and Midwestern states—traditional Republican strongholds—then the pundits suggesting that the storm was a boon for Obama would make more sense. The antipathy to the voting process engendered by the overwhelming sense of privation and despair would at least help to suppress Romney votes in states that traditionally vote republican. Come on, this is not difficult to understand, is it? Be that as it may, one truth is evident. This election will be decided by the votes in a few toss up states. It may be that ultimately the storm does not prevent Obama from carrying all the Northeastern states that he carried in 2008. In that case, we must once again realize that with Obama conveniently leading Romney in the polls taken in a handful of these critical swing states, it is still the case that Obama is set to win the election on Tuesday.